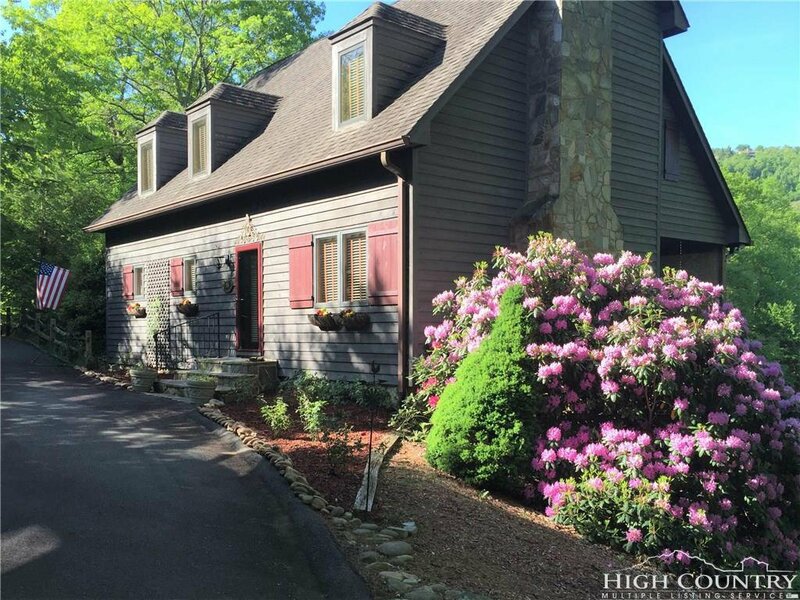 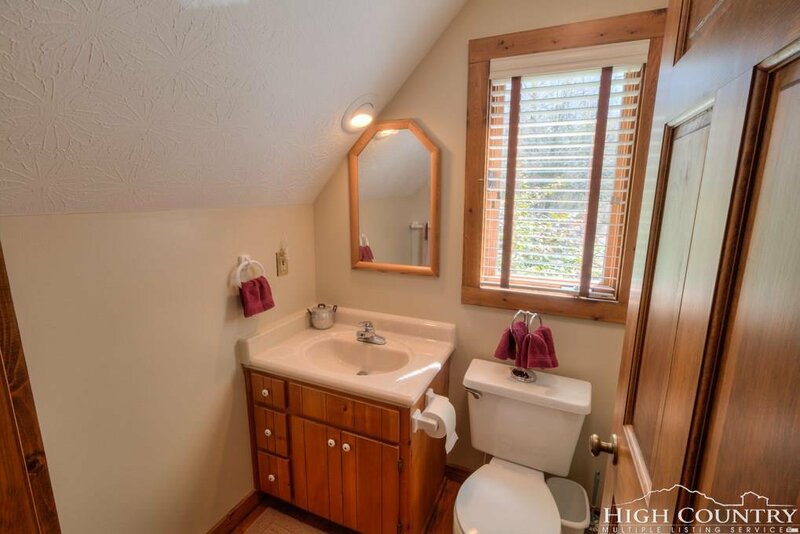 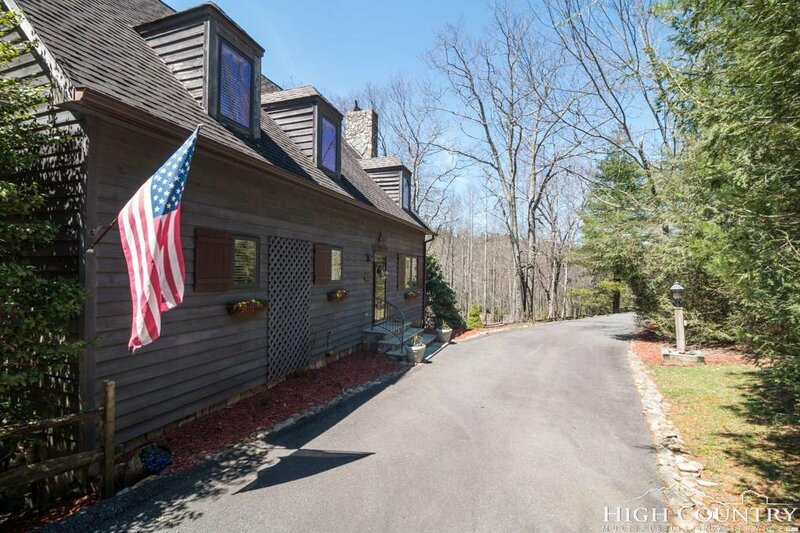 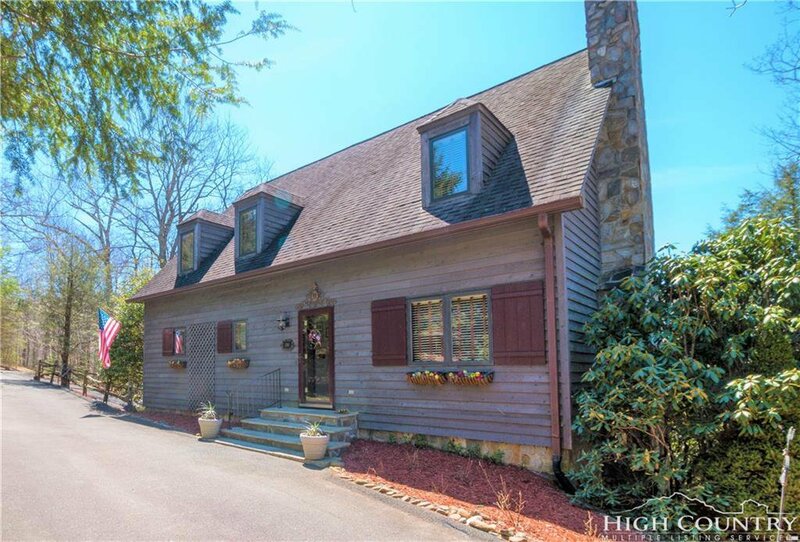 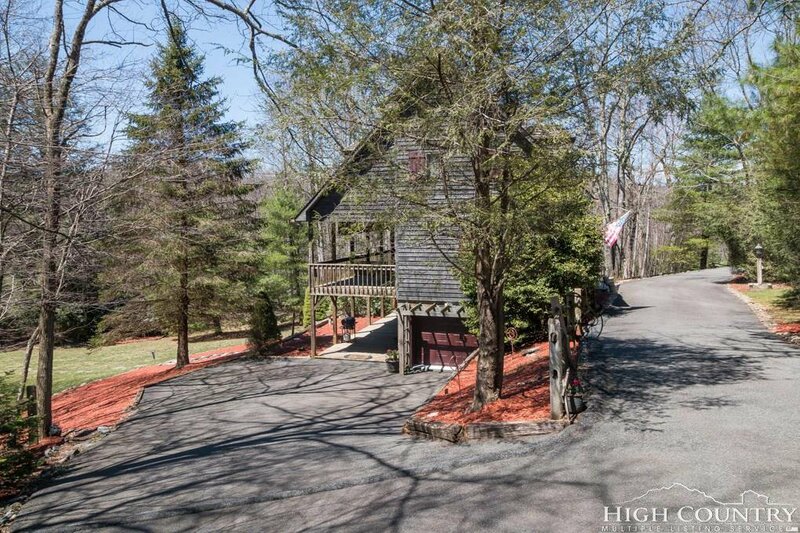 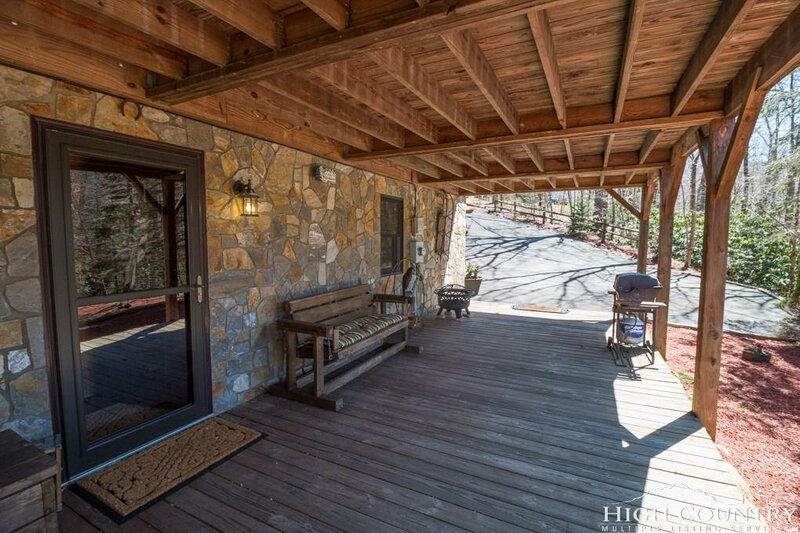 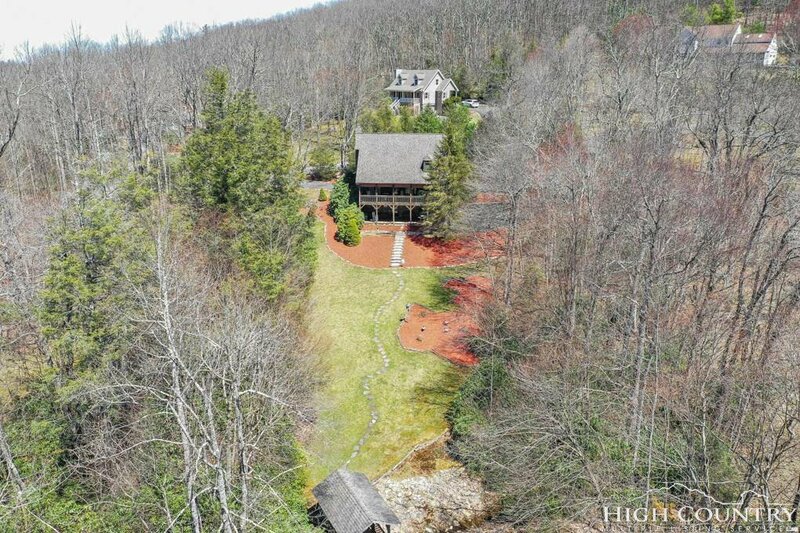 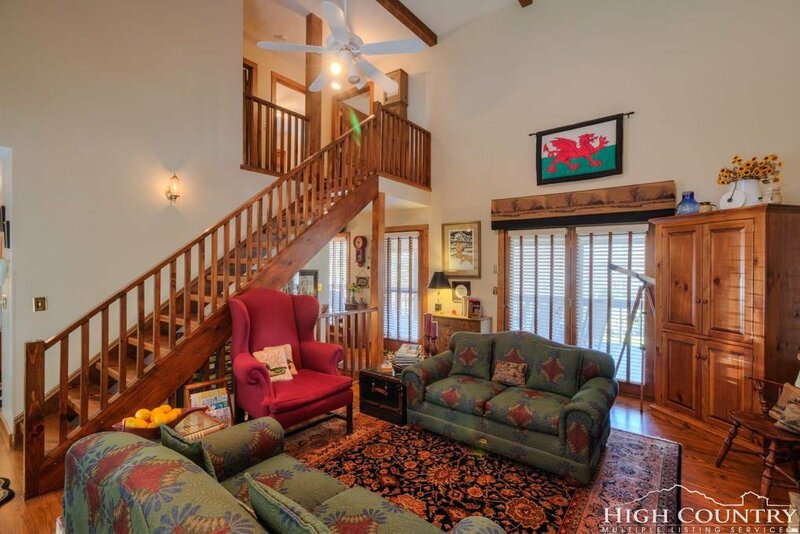 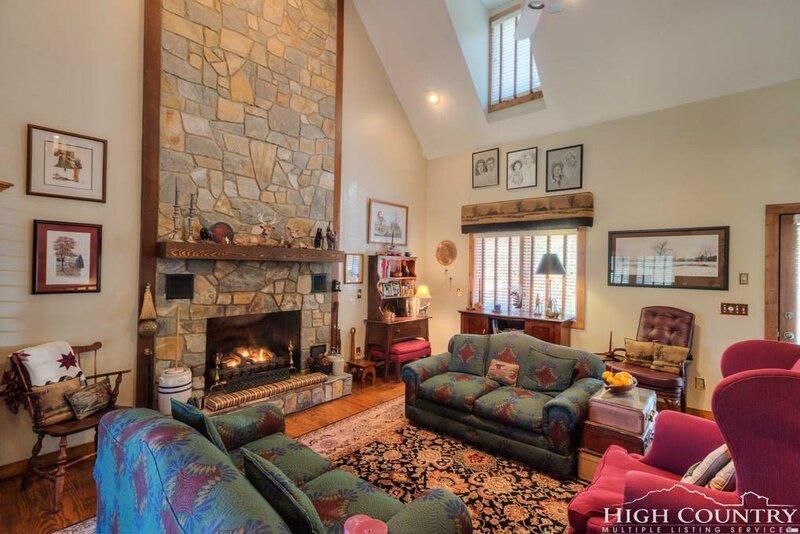 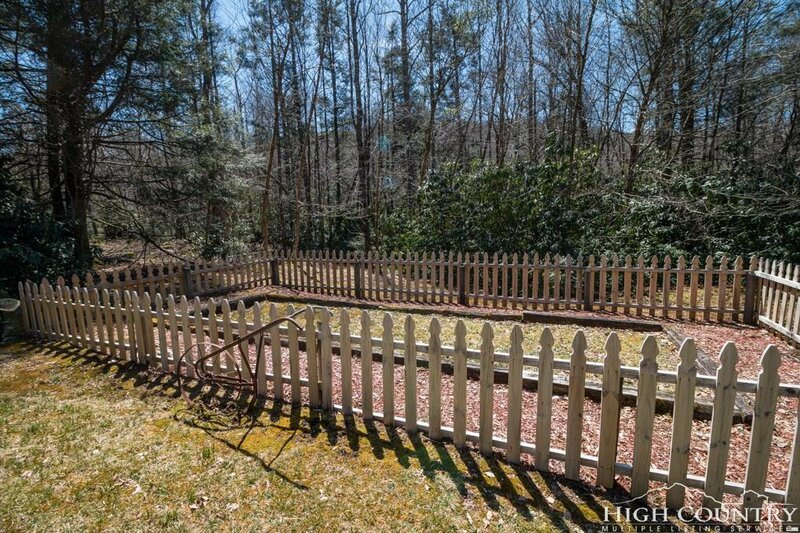 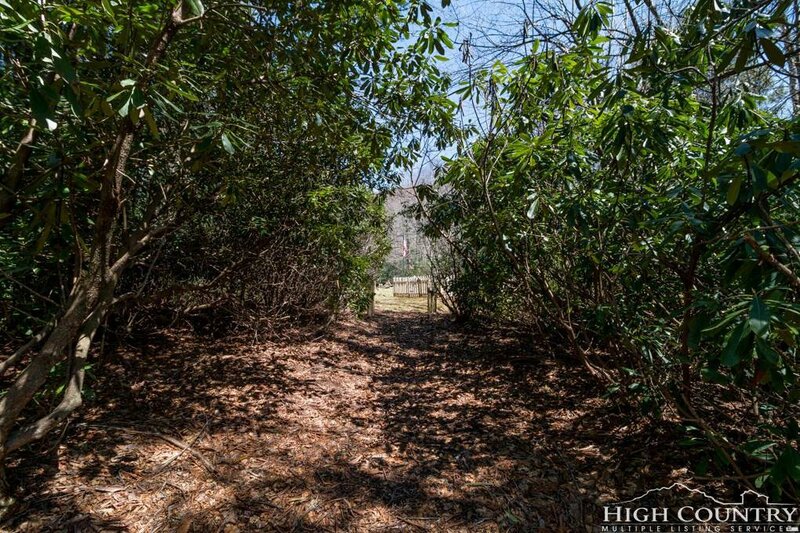 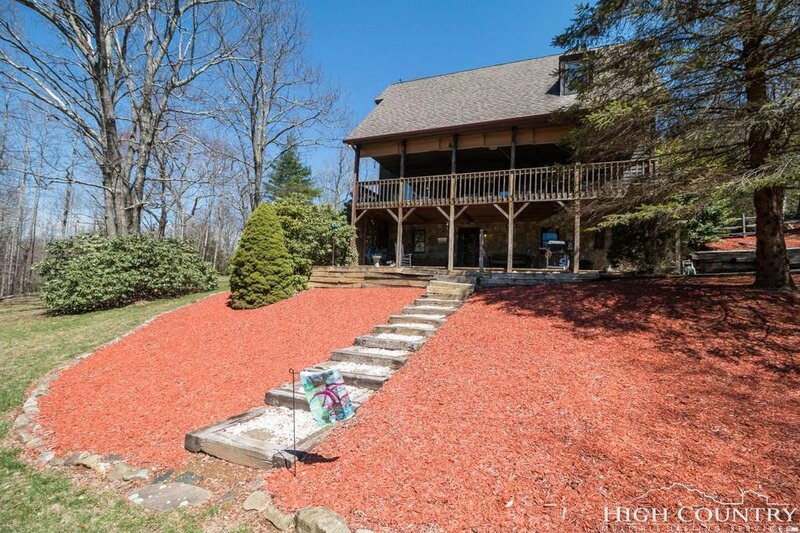 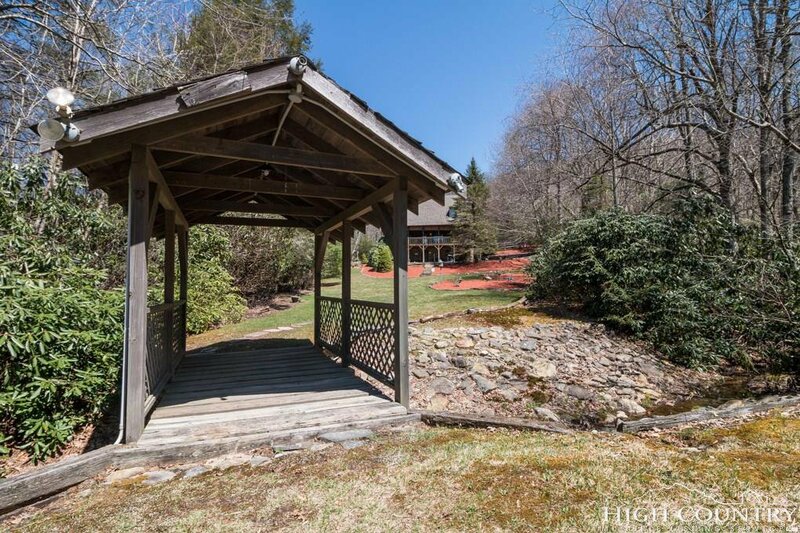 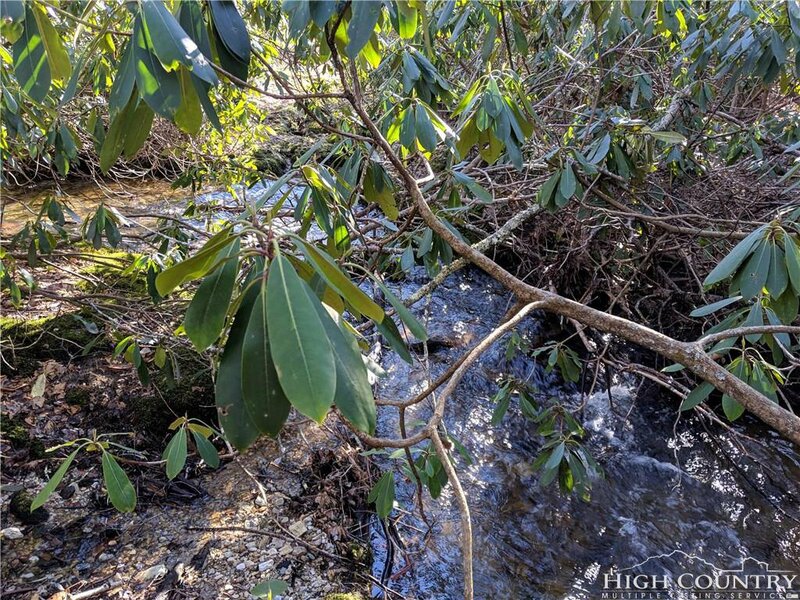 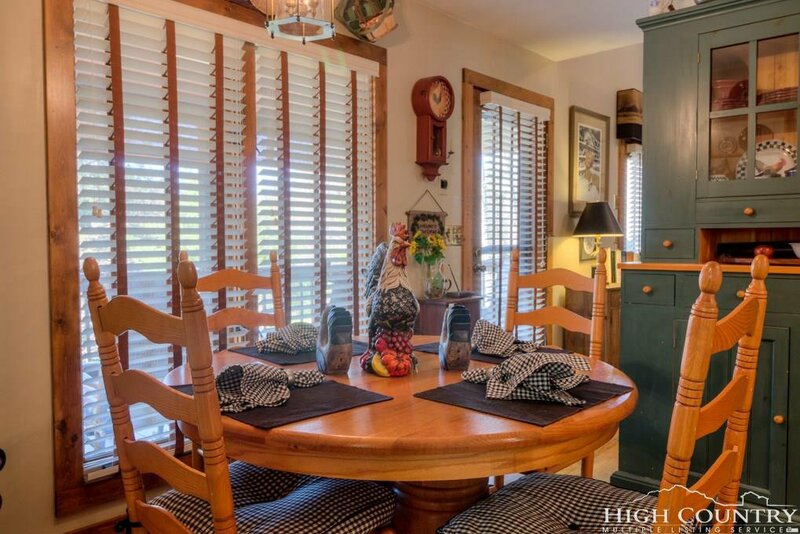 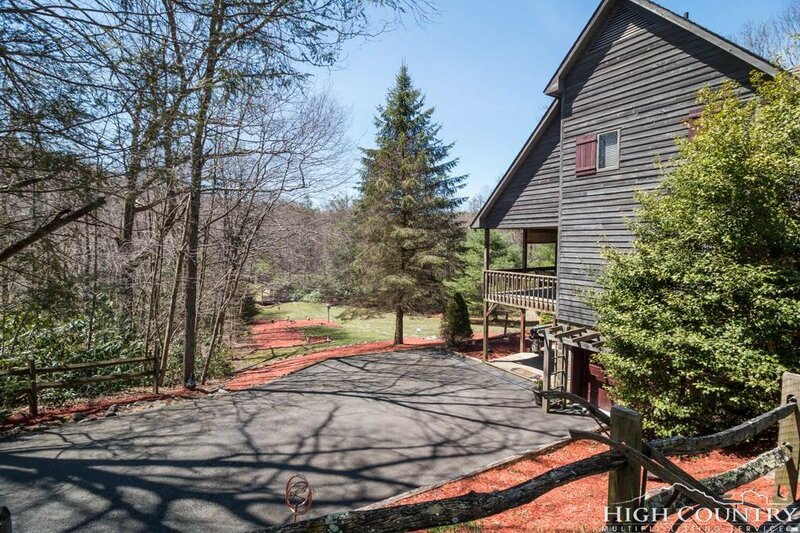 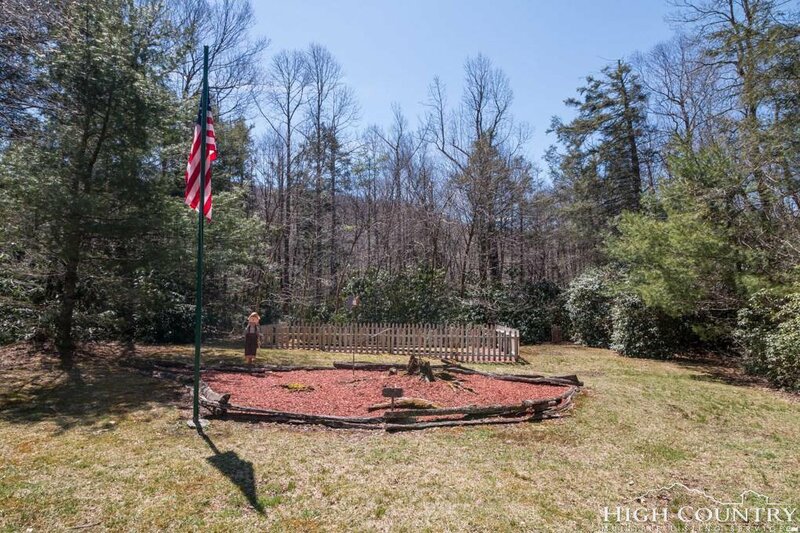 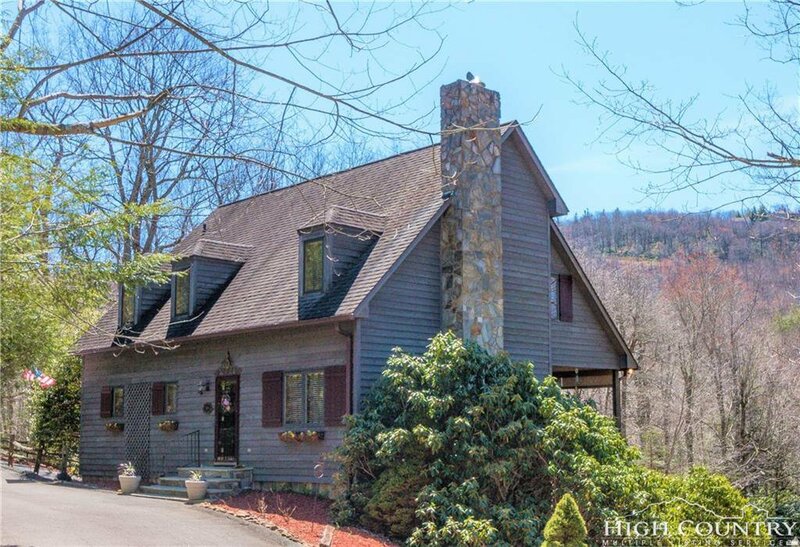 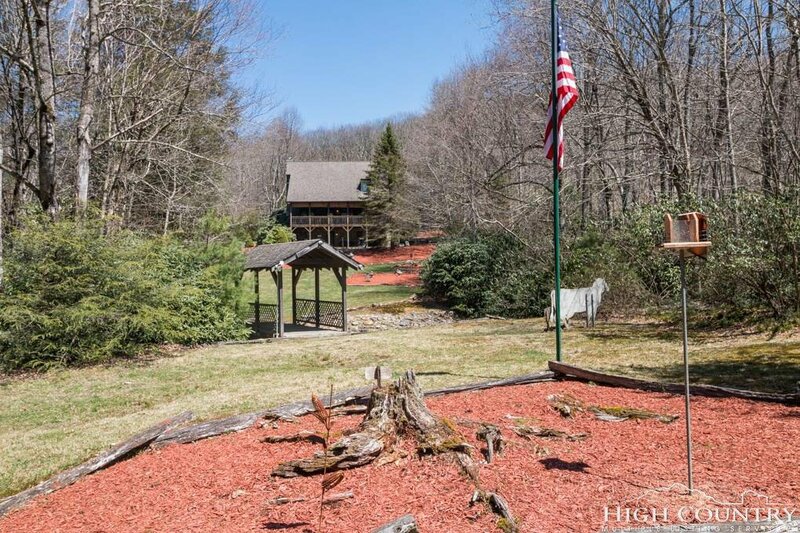 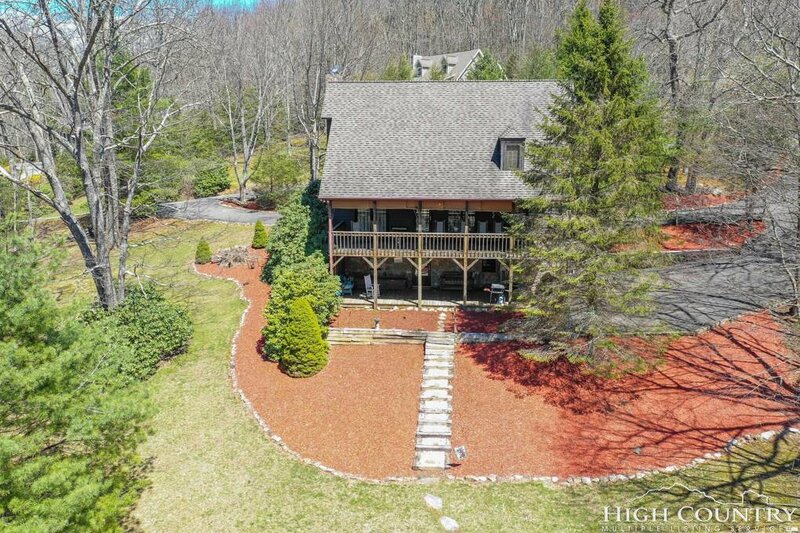 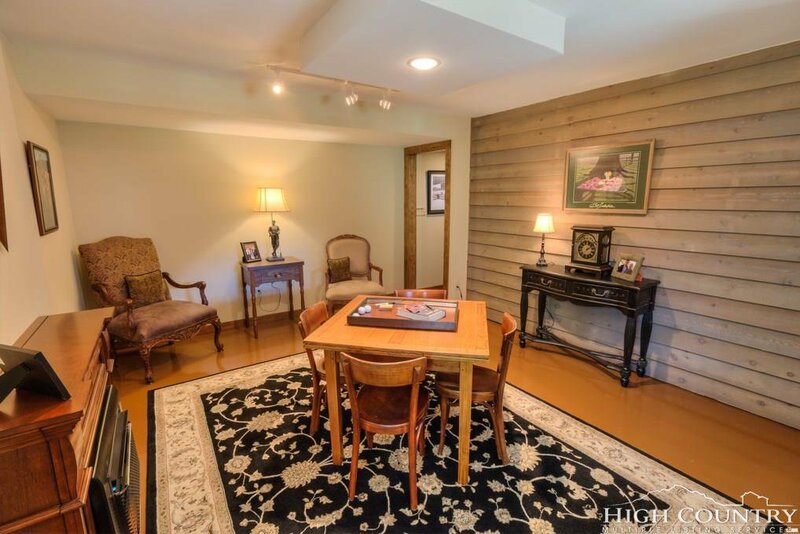 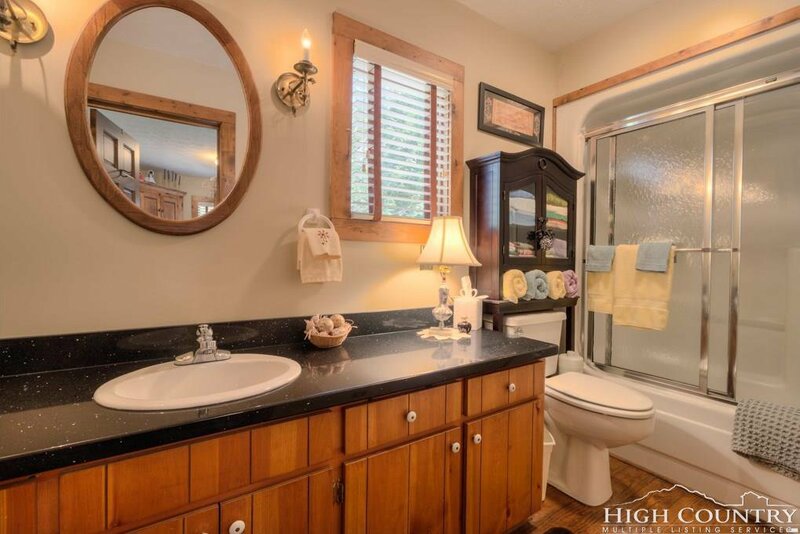 Charming and very attractive quality-built mountain home in an established subdivision near the Blue Ridge Parkway, Boone and Blowing Rock, NC. 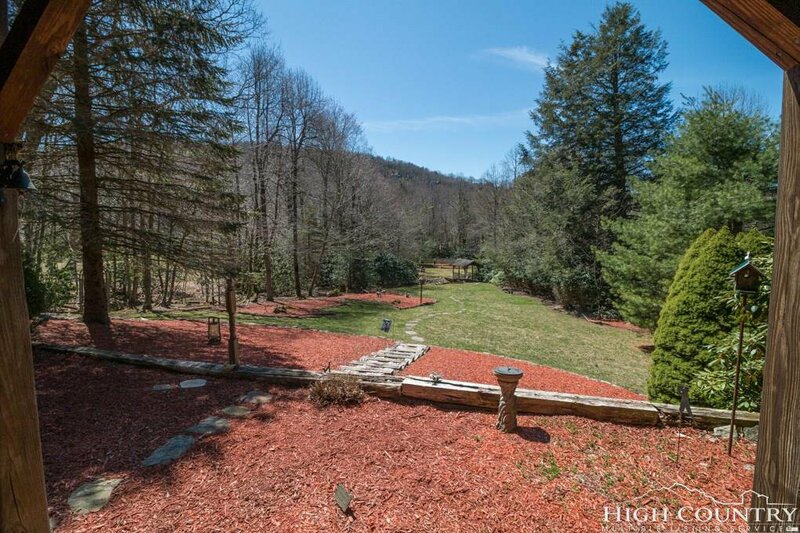 This home has one of the nicest, expansive, flat backyards on the market (2.31 acres), with the Goshen Creek at the back of the property. 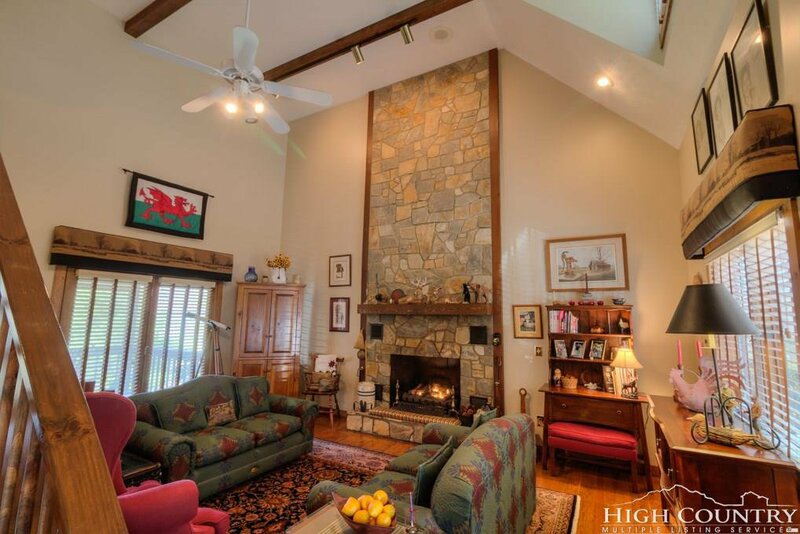 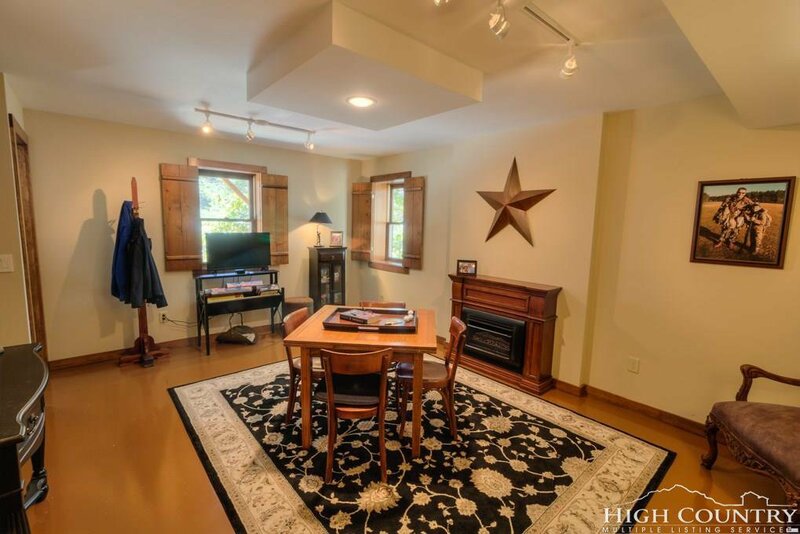 Enter to a cathedral ceiling living room with a floor to ceiling stone fireplace. 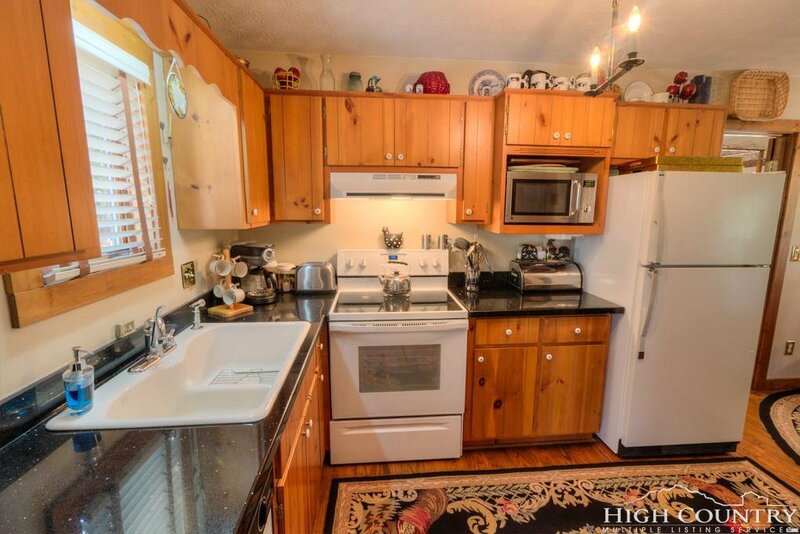 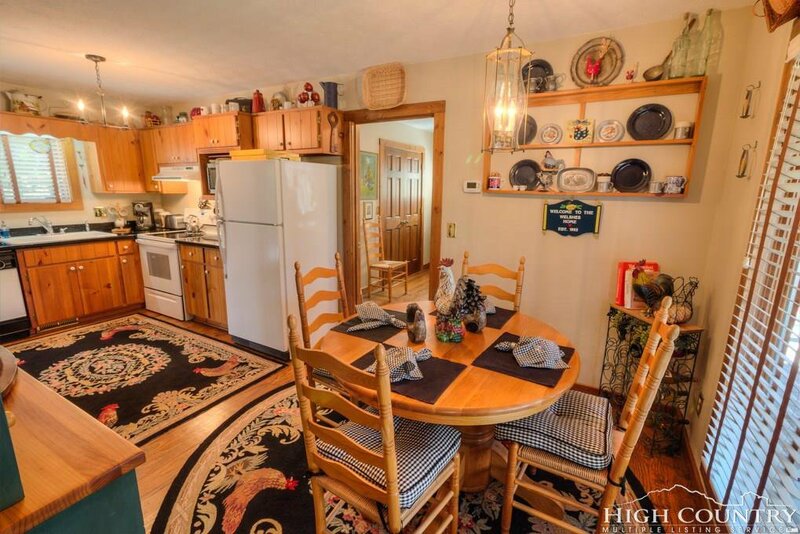 The kitchen offers granite counters and an eating area. 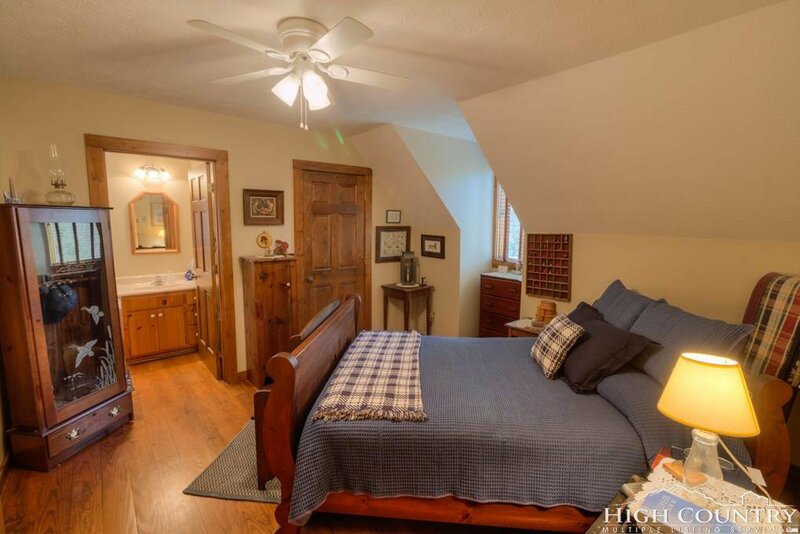 The main floor also includes the master suite and the entire main floor has wood floors. 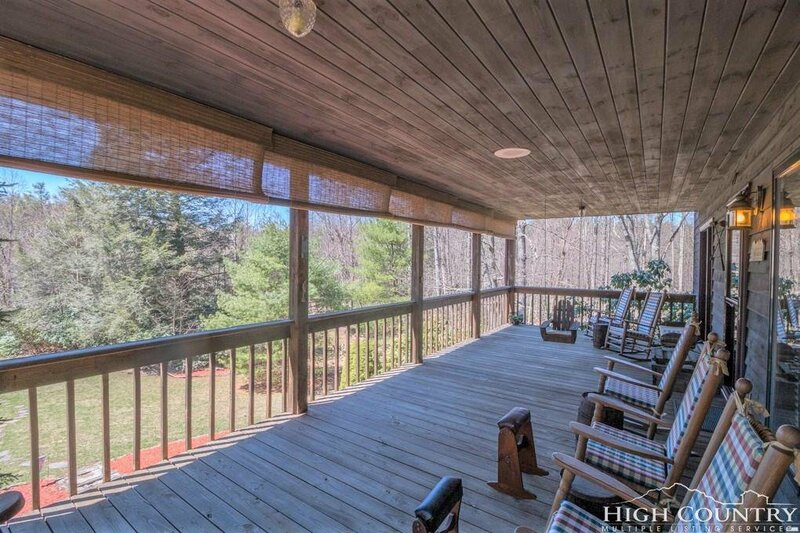 The deep back deck off the main floor runs the length of the home and below it is a patio of the same size. 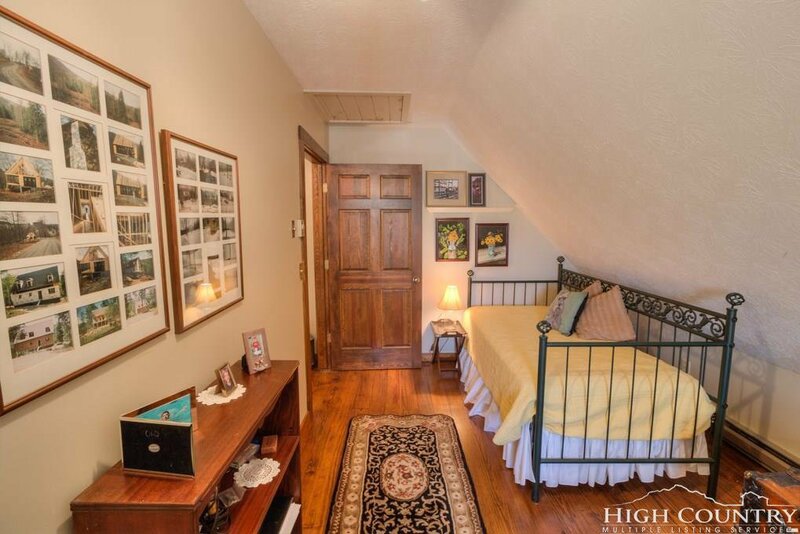 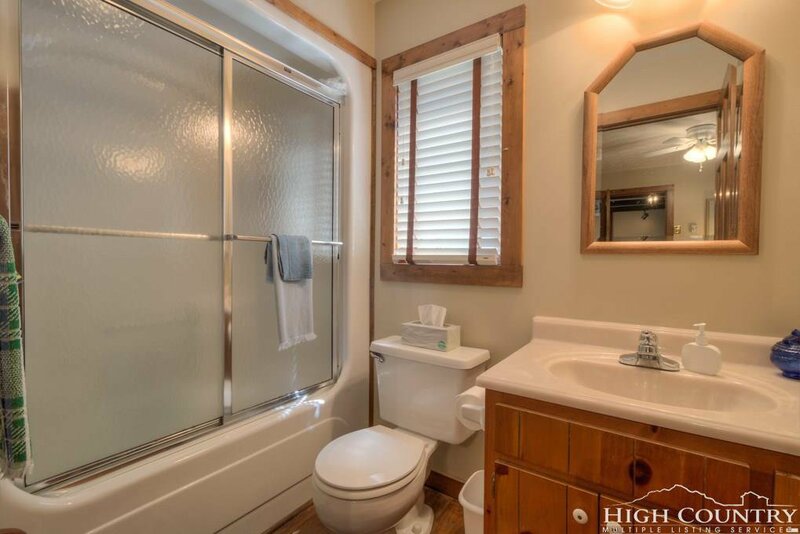 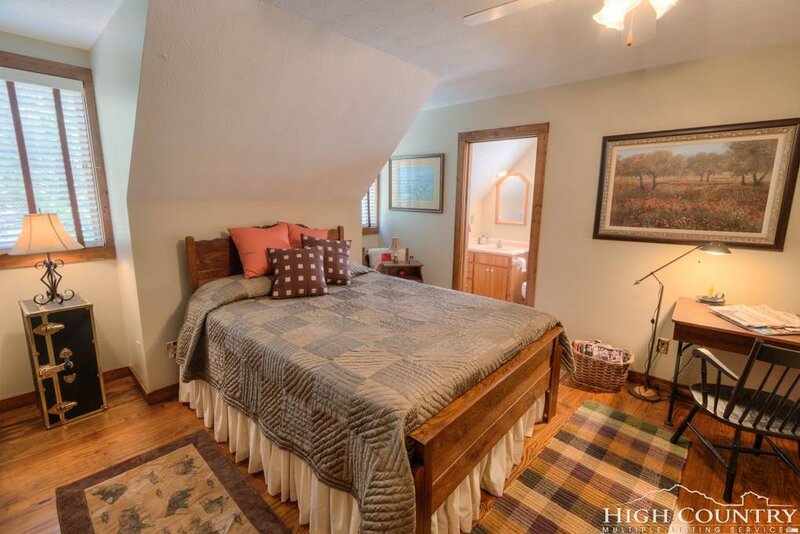 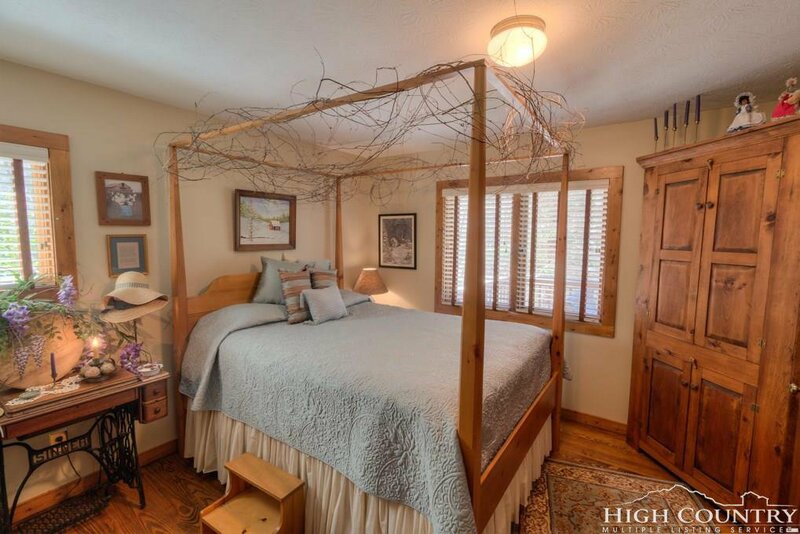 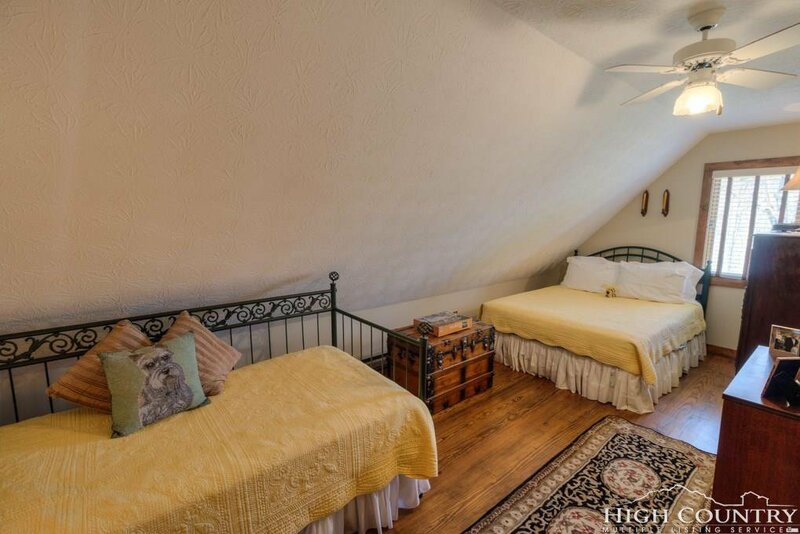 Upstairs are two en suite bedrooms and a bonus room that has been used as a sleeping room for the grand kids. 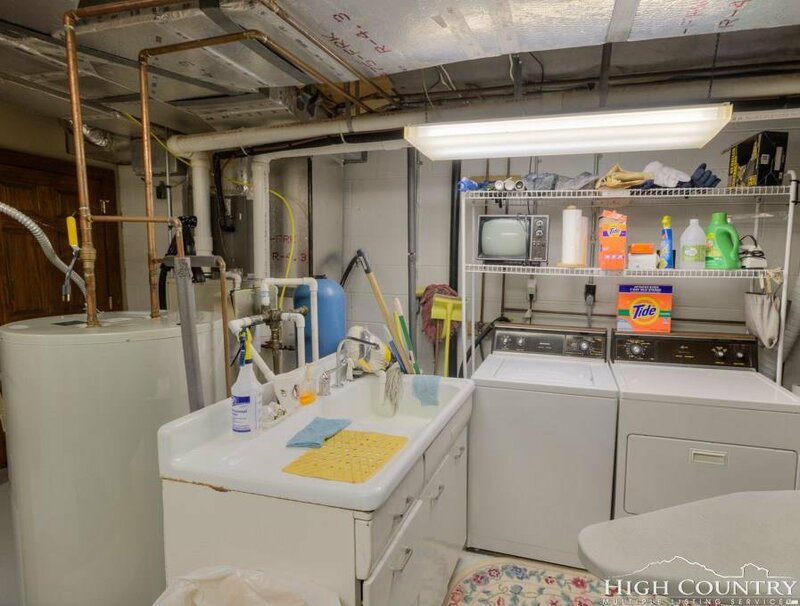 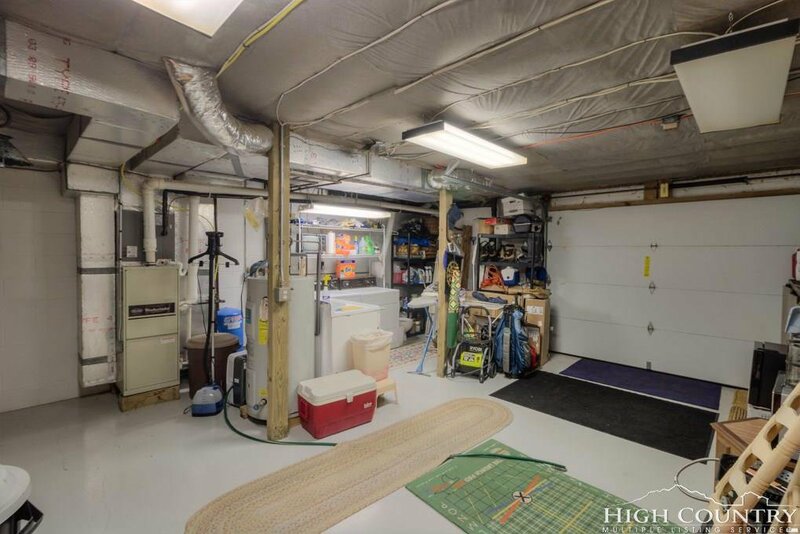 The lower level offers a finished den/office space as well as the over sized one car garage, laundry area and storage. 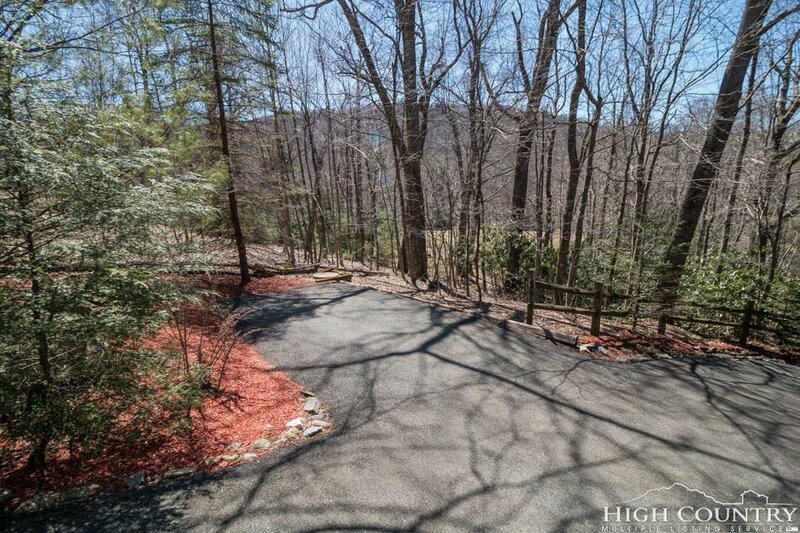 Outside is a circular drive in front, side parking, and parking at the lower garage area. 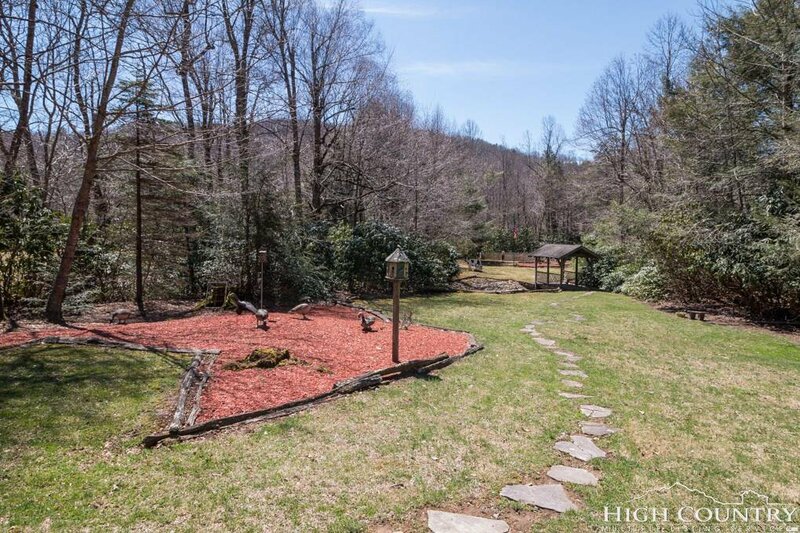 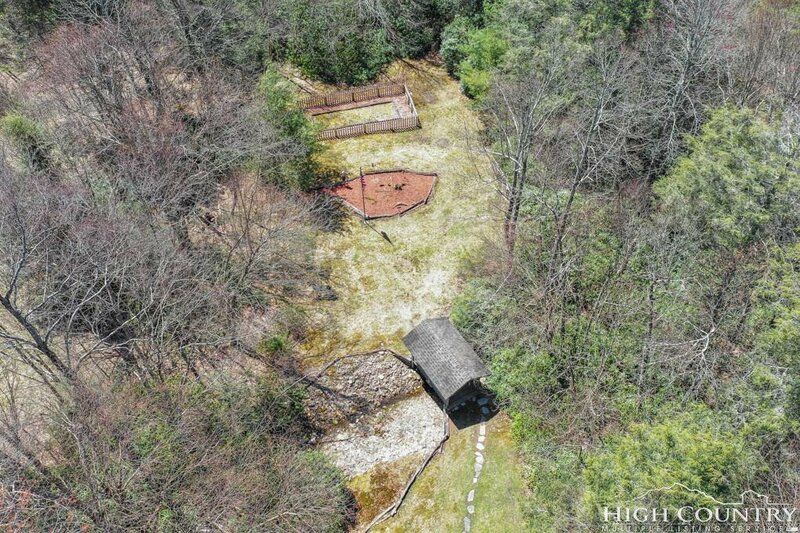 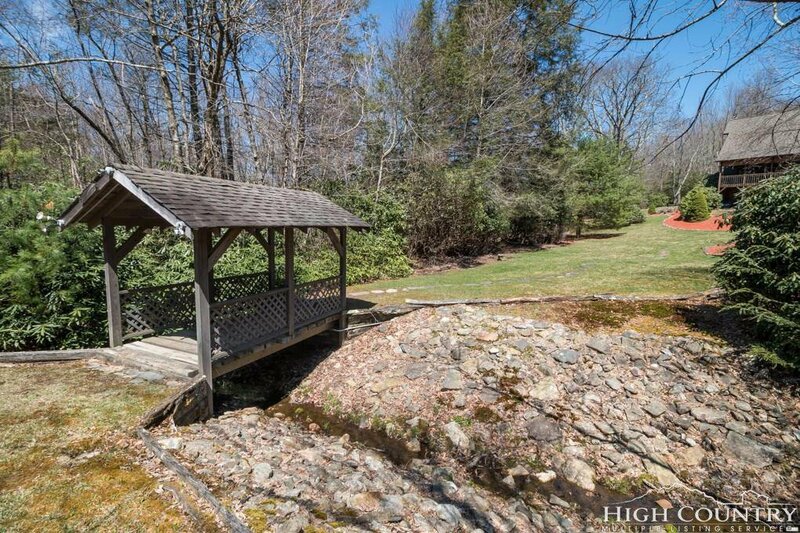 The flat back yard goes back several hundred feet with a bridge over a wet weather creek to a fenced garden area. 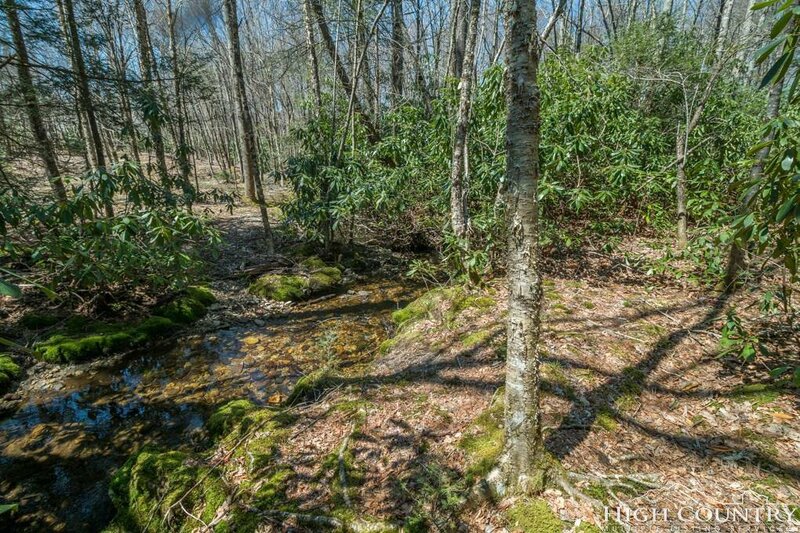 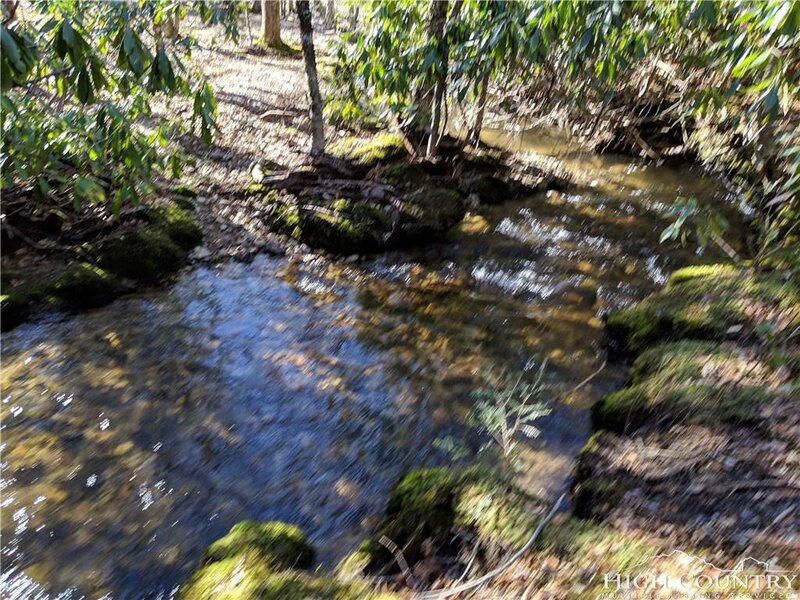 Follow the trail back to Goshen Creek The was the first home in the neighborhood with a prime location and just one owner. 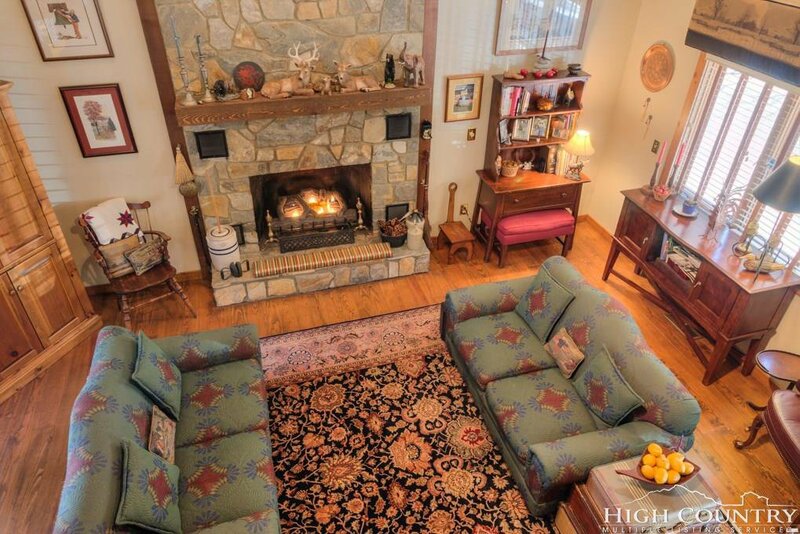 See the 3D tour.